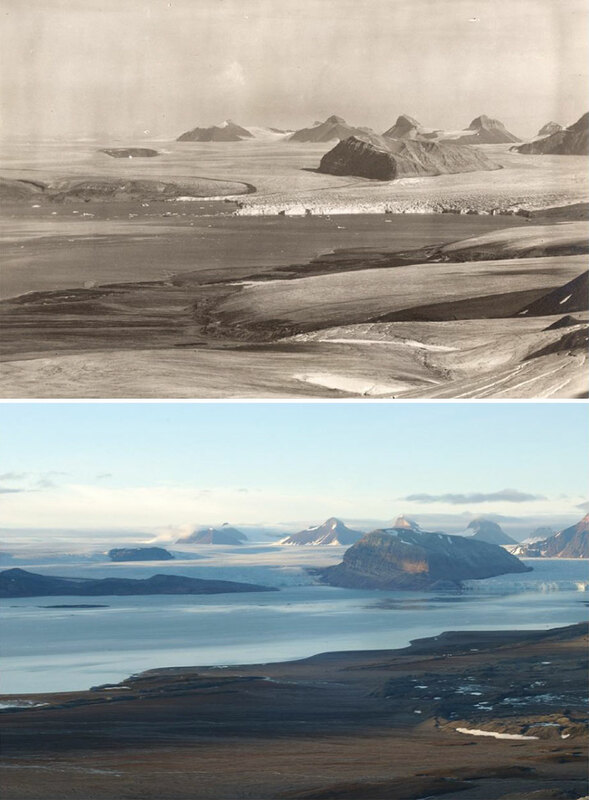 In the early 1900s, Arctic glaciers were nature’s most mysterious and undiscovered wonders. 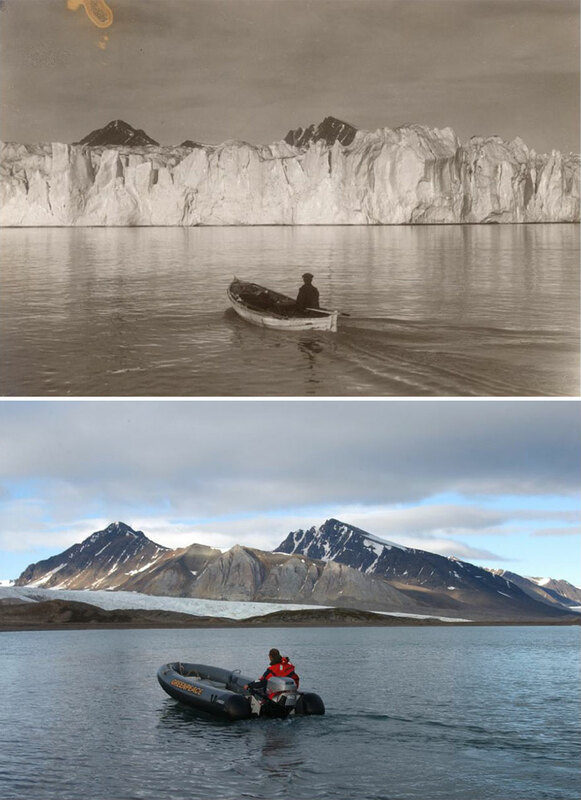 Over 100 years of research, exploration, and exploitation later, the glaciers have become a haunting testament to the effects of climate change. 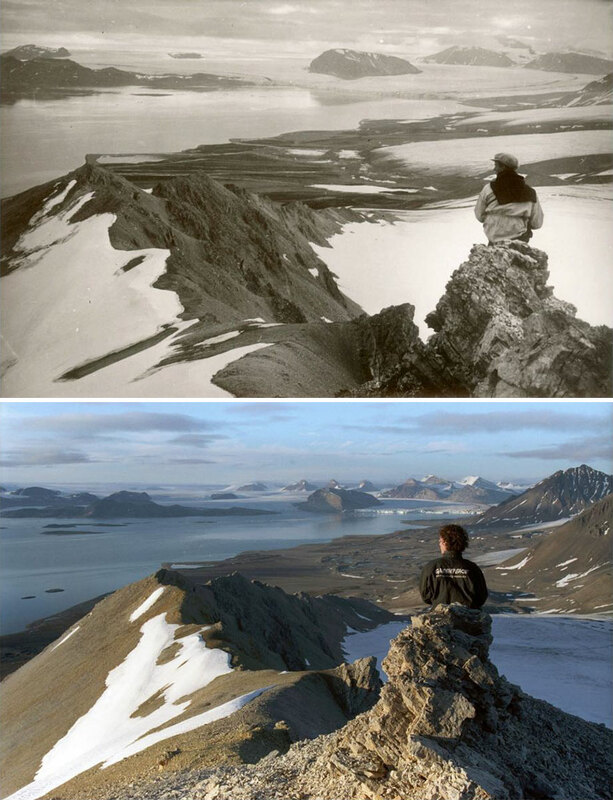 Christian Åslund, a Swedish photographer who works with Greenpeace, compiled a collection of images taken in Svalbard during the early part of the 20th century and positioned them alongside his own group of images taken in the same location. 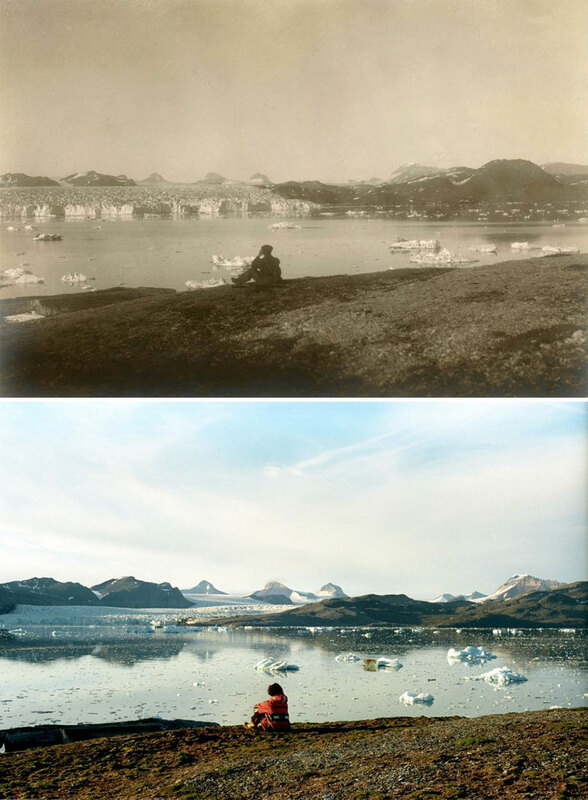 The shocking photos are being used to promote National Geographic’s #MyClimateAction campaign. 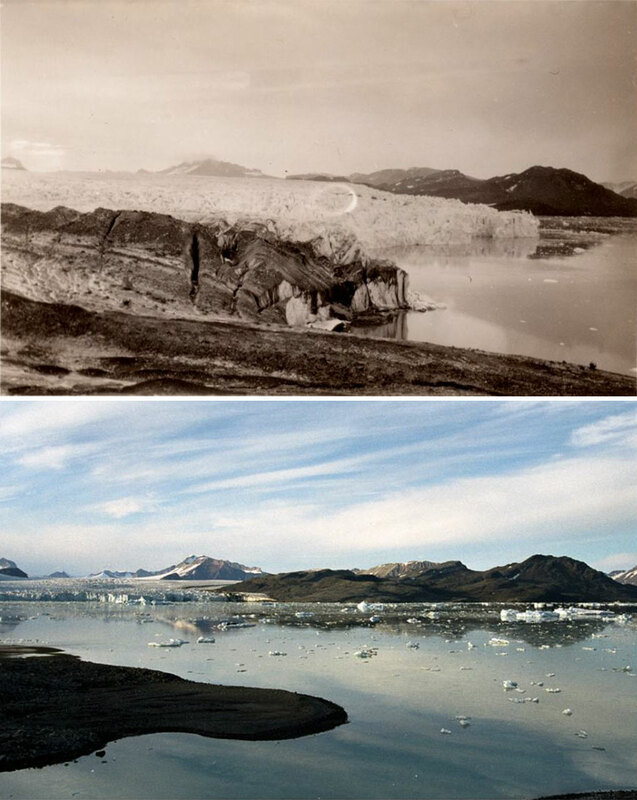 The campaign itself is aiming to raise awareness about climate change, and to encourage protest against oil drilling in the melting Arctic. 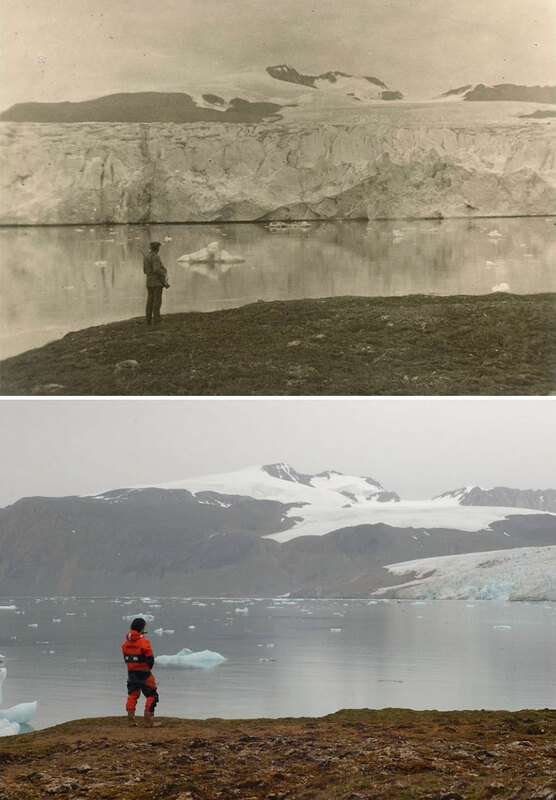 A lot can happen in 100 years. A lot. 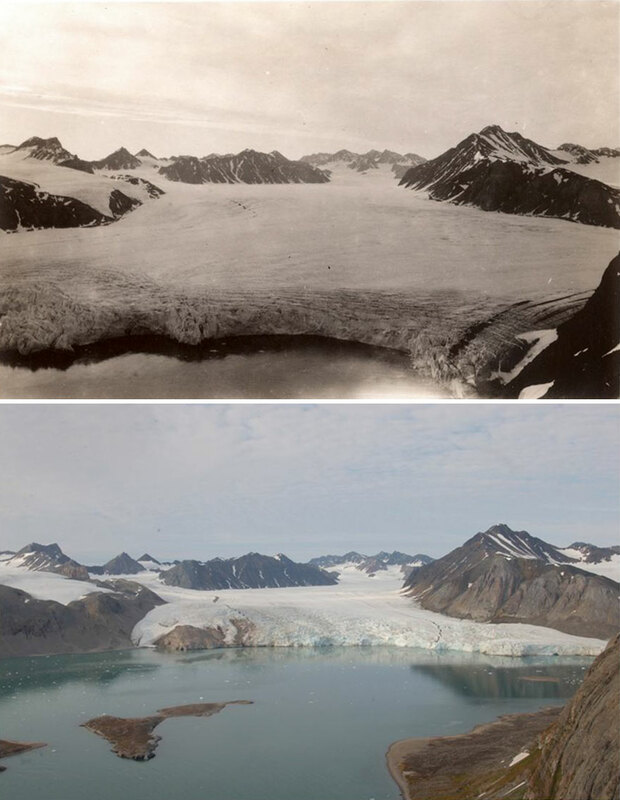 Just look at the current state of the Arctic glaciers now compared with what they looked like roughly 100 years ago.